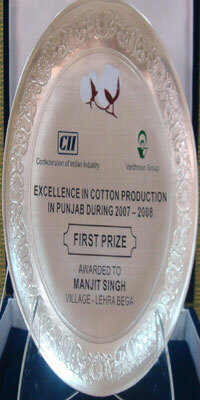 The CII Cotton Awards were instituted by CII. Vardhman & few other textile companies supported the silver salvars/mementos which were presented to the selected farmers for achieving high yield in cotton production alongwith some cash awards. The jury comprised of a few technical people from industry and PAU.